If you're telling that Minecraft PE is to easy for you, try to beat the Storm Wither boss. 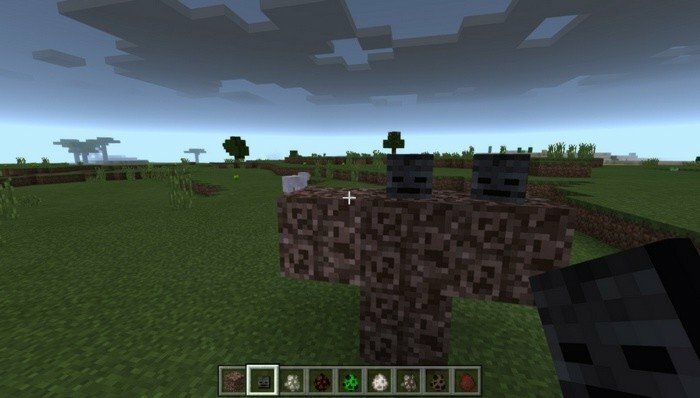 Forget about regular Wither - he is nothing compared to this monster, which is looks like three withers in one. 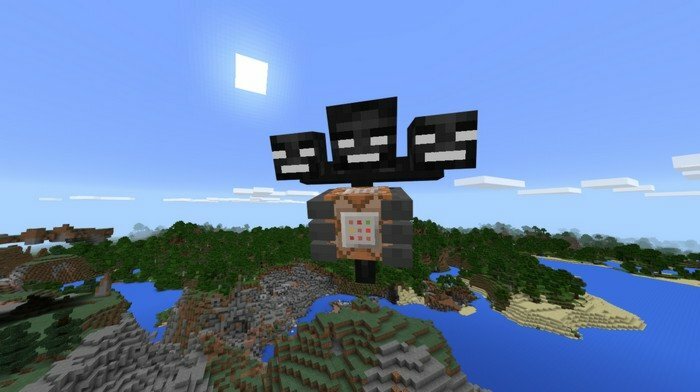 To spawn him you will need to build a totem using: x4 Soul sand and x3 Wither Skeleton head. After the spawn he will shoot fireballs like crazy and when he is below half of the health, he enrages and becomes immune to arrows. The way to beat him on the second stage - is to undermine the area around with a bunch of TNT or by using sword. 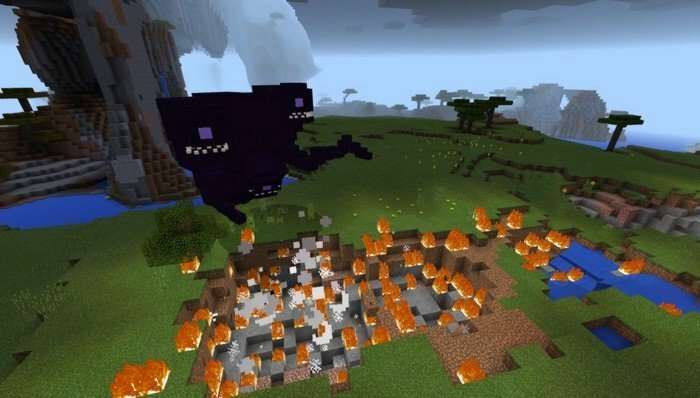 This mob replaces Ghast, it's much weaker then the Storm Wither, but still dangerous, he will fly around and throw fireballs and if you manage to kill him, you will gain: Command block, Soul sand x3 and Wither Skull x3 - that's all you need to spawn Storm Wither. Reason: Added new mob - Wither Command block, new animation for Wither's second stage.